Adventure awaits you all year long in Enderby! 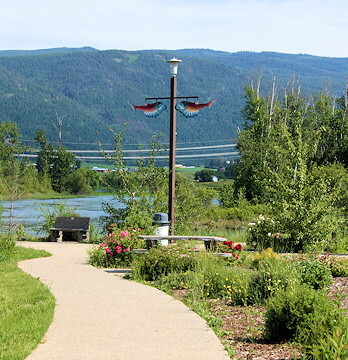 Known for its natural beauty and smalltown spirit, Enderby offers all of the amenities of a large urban center within a small community renown for its balance and first-class hospitality. 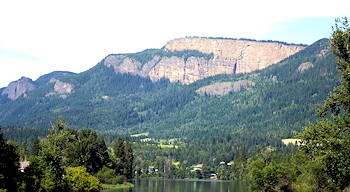 Perfectly situated on the banks of the Shuswap River, visitors to Enderby can tube down the river, take a refreshing dip, and kayak or canoe with the spectacular Enderby Cliffs as a backdrop. For the adventurous, a hike to the top of the Cliffs provides a panoramic view and a breathtaking location for a picnic. Nestled within picturesque downtown Enderby are numerous boutiques stocking designer clothing, antique and gift shops where you can find that missing piece to complete your living room, and restaurants which will tantalize your tastebuds with locally grown ingredients and cuisine ranging from the rustic to the exotic. As winter overtakes the fall, visitors to Enderby can experience a variety of new adventures. Snowmobiles roar across Hunters Range, where 90 kilometres of groomed trails attract enthusiasts from far and wide. At Larch Hills, 120 kilometres of trail await the avid cross-country skier. Only in Enderby can you shop at a boutique and browse pioneer and aboriginal artefacts at the Museum in the morning, hike the Cliffs in the afternoon, consume a phenomenal meal in the evening, and enjoy live music into the night. Location: Where the Shuswap meets the Okanagan. 35km north of Vernon and 25km south of Salmon Arm. Accommodations: Enderby and area has accommodations to suit every need, from unique bed and breakfasts to riverside camping to several hotels. Cabins are available at the Mabel Lake campground. Attractions: There are a variety of attractions in the area, including golfing, fishing, snowmobiling, cross-country skiing, and hiking. 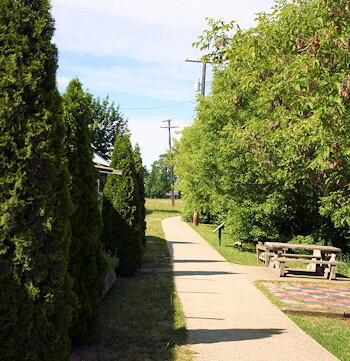 In addition, learn about the salmon life cycle at the Kingfisher Environmental Interpretive Centre, stroll along the Jim Watt Heritage Riverwalk, catch a movie at the Starlight Drive-in Theatre, and get a hands-on demonstration of how pioneers made rope at the Museum. A thrilling slate of community events adds to the excitement. Access: Enderby is located along Highway 97 and is serviced by national and regional airlines via the Kelowna International Airport. Climate: Enderby is known for its pleasant summer weather and moderate winter weather.